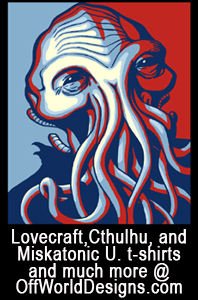 This is not meant to be a comprehensive list of Lovecraftian novels; just the opposite, in fact. This is a short list of some of my favorites. I’ll be adding to this list in the future! 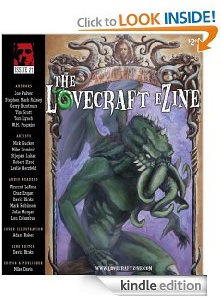 If you have a suggestion, please email me at lovecraftezine@gmail.com . Click the book title to purchase. 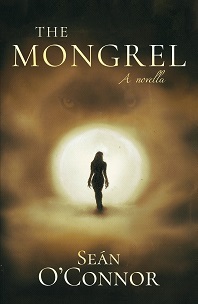 The Amulet, by William Meikle. Derek Adams is a Glasgow PI with plenty of time on his hands. Until the Bogart Case walks in. A priceless family heirloom has been stolen and everyone in town is looking for it. The stars are right once more, and an ancient evil has been awakened from its dreaming sleep. It was supposed to be an easy case, fast money. But pretty soon Derek is up to his armpits in bodies, femme fatales and tentacles. The city’s dark side has him. And it doesn’t want to let the Midnight Eye go! The Damned Highway: Fear and Loathing in Arkham, by Briane Keen and Nick Mamatas. 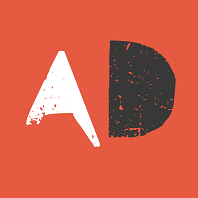 A hilarious, shocking, terrifying thrill-ride across the American landscape, The Damned Highway combines two great flavors of weird: the gonzo journalism of Hunter S. Thompson and the uncanny terrors of H.P. Lovecraft! Horror legend Brian Keene and cult storytelling master Nick Matamas dredge up a tale of drug-fueled eldritch madness from the blackest depths of the American Nightmare. On a freaked-out bus journey to Arkham, Massachusetts and the 1972 Presidential primary, evidence mounts that sinister forces are on the rise, led by the Cult of Cthulhu and its most prominent member – Richard M. Nixon! Darkness on the Edge of Town, by Brian Keene. A favorite of mine. I picked it up on a whim one night at the bookstore because the premise sounded promising; as I read it, I realized how Lovecraftian this book was. Read it, you’ll see what I mean. One morning the residents of Walden, Virginia, woke up to find the rest of the world gone. Just . . . gone. Surrounding their town was a wall of inky darkness, plummeting Walden into permanent night. Nothing can get in – not light, not people, not even electricity, radio, TV, internet, food, or water. And nothing can get out. No one who dared to penetrate the mysterious barrier has ever been seen again. Only their screams were heard. But for some, the darkness is not the worst of their fears. Driven mad by thirst, hunger, and perpetual night, the residents of Walden are ready to explode. The last few sane prisoners of this small town must prepare a final stand against their neighbors, themselves, and something even worse . . . something out there . . . in the darkness. The Dealings of Daniel Kesserich, by Fritz Leiber. One of my favorite books. Written in the 1930s, lost in the 1950s, and finally published in 1990s, this is one of Fritz Leiber’s more eclectic works. Part horror story and part science fiction whodunit, the tale begins as George Cramer arrives in Smithville, California, home of his college friends Daniel Kesserich and John Ellis. Ellis’s wife has died under mysterious circumstances, and now both he and Kesserich have gone missing. The townspeople seem to be hiding a hideous secret, and Cramer suspects all the clues lead back to unusual experiments Kesserich was conducting. 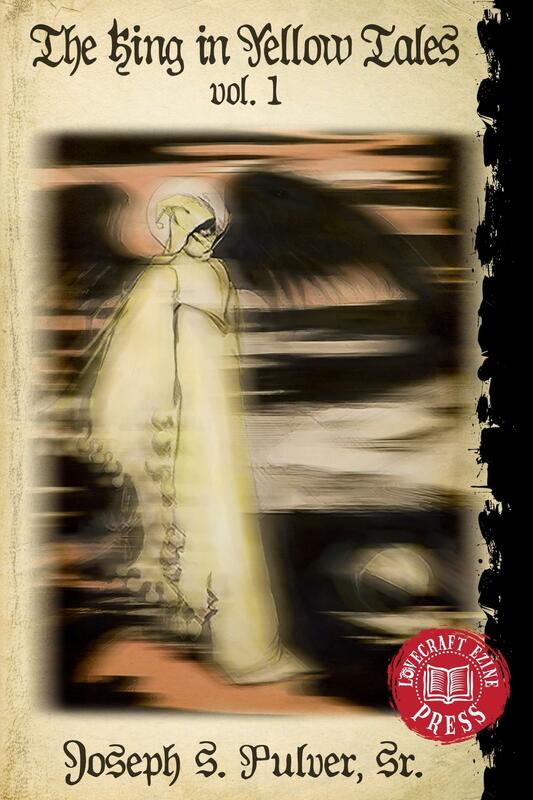 A gripping tale in the style of H. P. Lovecraft but told with the grace of Leiber… In 1936, young Leiber, then in correspondence with the famous writer H.P. Lovecraft, drafted this eerie story. Deeper, by James A. Moore. I really enjoyed this one; I’ve read it twice. An off-shore expedition ends in a fascinating discovery for a team of divers near New England. The thing they bring ashore is certainly unusual. Big mistake thinking it couldn’t survive on land. Bigger mistake thinking that it’s the only one of its kind. Deep Night, by Greg F. Gifune. For Seth Roman and his younger brother Raymond, it was supposed to be a getaway from their dull, corporate jobs and empty, troubled lives, a week of card playing and drinking at a cabin in the remote woods of northern Maine. But when a young woman staggers into their camp with her clothes covered in blood, their lives are changed forever. The woman brings with her something ancient, deadly and inhuman. Held in its clutches, they must fight an all-consuming evil from which there is no escape, an evil born of the darkest corners of human existence. Displaced Person, by Lee Harding. Like the reviewer I’m about to quote, I read this as a teenager in the 1980s, and 30 years later, it still stuck with me. Believe me, this is one of the best Lovecraftian books you’ll ever read. The following review is from Theo at Amazon.com: This is one of the books I read during my teenage years that really stuck with me. A quietly but genuinely disturbing work, it is not easily classifiable as science fiction, fantasy, or horror. Indeed, which of the three you choose will likely hinge on how you personally interpret this book. Displaced Person tells the story of a young adult just finishing school who finds himself gradually disappearing from the consciousness of those around him. It is a story that quietly, methodically builds up a kind of nameless cosmic dread with almost Lovecraftian skill. But whereas even Lovecraft has his Cthulhu mythos to offer some kind of explanation for the events that take place in his stories – however alien and unfathomable that explanation may be – what gives this work its special power is very largely the total absence of any explanation at all. The genuine sense of dread it builds is therefore perhaps founded on a bedrock of truth. It reminds us of the old adage that all we know is like a little island of knowledge in a vast sea of unknowing, and that we are, in the greater scheme of things, only very small creatures in an incomprehensibly vast and perhaps ultimately unknowable universe. From what I can gather, this work appears to have lapsed in relative obscurity. This is a pity, because it really is a very fine piece of young adult literature. If the time I have spent writing this review can reverse the current state of affairs in even a small way, I will consider that time extremely well spent. The Express Diaries, by Nick Marsh. The Lovecraft Mythos on a train… what could be better? EUROPE, 1925. The continent still licks its wounds from the devastating war that raged across it a few years before. Meanwhile, in London, an ageing professor has uncovered the clues to the whereabouts of pieces of an ancient statue, all but forgotten by history. When his investigations lead him to fear for his life, he enlists the aid of an unlikely group of allies; a retired colonel, a secretive academic, a magician’s wife, and a Yorkshire matriarch with her reluctant assistant. Together they will journey across Europe to recover the long-lost statue. They will travel in style, on the most luxurious train the world has ever seen. Unbeknownst to them, however, their activities have already attracted the attention of a sinister cult, desperate to acquire the artefact for their own dark purposes, and now a terrible creature, trapped for centuries, senses that the opportunity for revenge has come at last… THE EXPRESS DIARIES is a tale of a journey into darkness and horror on the world’s most famous train. The Eye of Infinity, by David Conyers, cover by Mike Dubisch, art by Nick Gucker. Nick sent this to me, and honestly, I thought it wasn’t really wasn’t going to be my cup of tea. Then I started reading a few pages… and it grabbed me and wouldn’t let go. A fast-paced read with a great plot and some DAMN scary shoggoths! At a remote radio telescope facility in New Mexico, an astrophysicist commits suicide after contracting a hideous mutative plague caused by something he saw…and he won’t be the last. Major Harrison Peel has witnessed his share of cosmic atrocities before, but now he faces a threat worse than death and a powerful enemy that hides behind a human face. When a top-secret NASA program refuses to heed his warnings, Peel is catapulted into a nightmarish government conspiracy that takes him from Ft. Meade’s Puzzle Palace to the launchpads of Cape Canaveral; from the desolate Atacama Desert of Chile to the very heart of the universe itself, all in a desperate bid to close… The Eye of Infinity. From a Buick 8, by Stephen King. The book’s intriguing plot revolves around the troopers of Pennsylvania State Patrol Troop D, who come into possession of what at first appears to be a vintage automobile. Closer inspection and experimentation conducted by the troopers reveal that this car’s doors (and trunk) sometimes open to another dimension populated by gross-out creatures straight out of … well, a Stephen King novel. As the plot progresses, the veteran troopers’ tales of these visits from interdimensional nasties, and the occasional “lightquakes” put on by the car, are passed on to the son of a fallen comrade whose fascination with the car bordered on dangerous obsession. The Immortal Body (The Singularity Cycle Book 1), by William Holloway. Detective John Mitchell thought he understood murder. But that all changes when monsters are born during a faith healing at a local church. 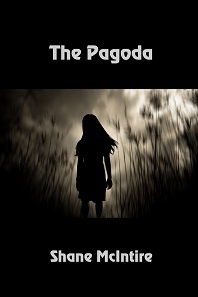 Psychic Medium Sarah Lynn Beauchamp thought she understood the dead, but the dead have a new plan for her. SAS veteran Dr. Menard thought the War was through with him until an unspeakable evil returns from the depths of a forgotten time. Behind it all, a mysterious figure lurks, controlling the actors from the shadows, ushering an end to reason, sanity and the world as we know it. The Light is the Darkness, by Laird Barron. Conrad Navarro is a champion of the Pageant, a gruesome modern day gladiatorial exhibition held in secret arenas across the globe. Indentured by a cabal of ultra-rich patrons, his world is one of blood and mayhem, an existence where savagery reigns supreme while mercy leads to annihilation. Conrad’s sister has vanished while traveling in Mexico. Imogene, a decorated special agent for the FBI, was hot on the trail of a legendary scientist whose vile eugenics experiments landed him on an international most-wanted list. Imogene left behind a sequence of bizarre clues that indicate she uncovered evidence of a Byzantine occult conspiracy against civilization itself — a threat so vast and terrible, its ultimate fruition would herald an event more inimical to all terrestrial life than mere extinction. Now, Conrad is on the hunt, searching for his missing sister while malign forces seek to manipulate and destroy him by turns. It is an odyssey that will send this man of war from the lush jungles of South America, to the debauched court of an Aegean Prince, to the blasted moonscape of the American desert as he becomes inexorably enmeshed within a web of primordial evil that stretches back unto prehistory. All the while struggling to maintain a vestige of humanity; for Conrad has gazed into an abyss where the light is the darkness, and he has begun the metamorphosis into something more than human. Lucky’s Girl, by William Holloway. Something has awakened on Grove Island. Something that, even in sleep, has held Elton Township in its black embrace. Something old, wise and patient. Something that walked the ancient forests and howled beneath black skies. Kenny McCord had a good life – his own slice of the American Dream. But all of that is over, so he is heading home to the small town he left behind so many years ago. However Kenny is not the only son that has returned to Elton Township. His childhood friend, and worst enemy, has come back to settle old scores and, quite literally, raise a little hell. A Night in the Lonesome October, by Roger Zelazny. One of my favorite books, and one I re-read every October. During a dank and damp autumn in the late 19th century, good dog Snuff loyally accompanies a mysterious knife-wielding gentleman named Jack on his midnight rounds through the murky streets of London – collecting the grisly ingredients needed for unearthly rite that will take place not long after the death of the moon. But Snuff and his master are not alone. All manner of participants, both human and undead, are gathering from Soho to Whitehall with their ancient tools and their animal familiars, in preparation of the dread night when black magic will summon the Elder Gods back to the world. Some have come to open the gates…an some to close them. It is brave, devoted Snuff who must calculate the patterns of the Game and keep track of the Players – the witch, the mad monk, the vengeful vicar, the Count who sleeps by day, the Good Doctor and the hulking Experiment Man he fashioned from body parts…and a wild-card American shapeshifter named Larry Talbot – all the while keeping ogres at bay, and staying a dog-leap ahead of the Great Detective, who knows quite a bit more than he lets on. Nightmare’s Disciple, by Joseph S. Pulver, SR. Even a man of faith will find it no easy matter to discern and to follow the guidance of his god. What if that god is one of the Great Old Ones of the Necronomicon? And what if the will of that deity is for you to become its messiah? Will you prove worthy? How will you know? The more real this faith feels, the more insane it will seem to those outside—especially if they are marked for sacrifice! 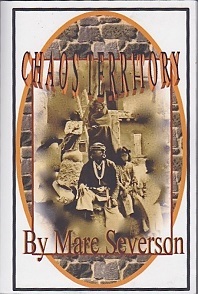 Joseph S. Pulver, Sr., has conjured up just such a scenario, one in which two planets are slowly swinging into one another’s orbits: one a would-be Mahdi and serial killer, the other an embittered detective pursuing him from murder to hideous murder, eager to prevent others from bearing the cross of suffering he carries. Between them these adversaries launch a battle between worldviews. One is Nightmare’s disciple, the other the champion of daylight sanity. It quickly becomes evident that the insanity as just as likely to be true as the sanity we take for granted. What is at stake here? A man-monster of murder who must be stopped for the sake of his victims’ safety? Or an awakening into a horrific enlightenment that will scour the world clean of humanity? It is the human worldview, the world of humanity itself that lies in the balance. Will one man’s faith in the Lovecraft Mythos be revealed as a rationale for mind-sick killers? 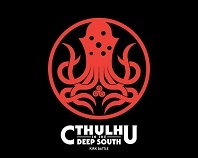 Or will he be revealed as the Christ of Cthulhu, the herald of universal madness? 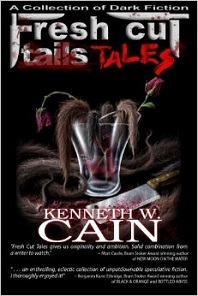 You will feel you have met these engaging and unsettling characters. You will find yourself making cameos here and there on the page. And when you are done, you will find that you, too, have become Nightmare’s Disciple. Radiant Dawn, by Cody Goodfellow. THE BEGINNING IS NEAR… From a ruined chemical weapons bunker in Iraq to a shallow grave in California’s San Andreas Fault, the lines are drawn for a shadow war that will decide who, or what, will inherit the earth and reign as the next dominant species. The escalating conflict engulfs the lives of three born survivors: a broken veteran of the Gulf War; a fiercely independent young nurse dying of cancer; and a brilliant novice FBI agent. 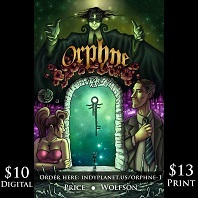 Plunged into an arena where the stakes are survival or extinction, each must choose a side: between a militia of rogue government scientists and an enigmatic messiah who holds the cure for death itself, and the key to a new form of life. Trapped in a genocidal war the government will do anything to conceal, where top-secret military technologies vie with the primal power of evolution unleashed, they will struggle to understand and stay alive…and stay human. Ravenous Dusk, by Cody Goodfellow. The sequel to Radiant Dawn! EVOLUTION IS EVOLVING… In the Seven Devils Mountains of Northern Idaho, in the radioactive shadow of Chernobyl, their numbers grow. They gather to be cured of their cancer, but they become much more. Soon, they will be One. When they come into their kingdom, all plant and animal life on earth will be rendered obsolete, and a billion-year old experiment called evolution will have reached its logical conclusion. Reanimators, by Pete Rawlik. Two men, a bitter rivalry, and a quarter-century of unspeakable horrors. Herbert West’s crimes against nature are well-known to those familiar with the darkest secrets of science and resurrection. Obsessed with finding a cure for mankind’s oldest malady, death itself, he has experimented upon the living and dead, leaving behind a trail of monsters, mayhem, and madness. But the story of his greatest rival has never been told — until now. Dr. Stuart Hartwell, a colleague and contemporary of West, sets out to destroy him by uncovering the secrets of his terrible experiments, only to become what he initially despised: a reanimator of the dead. For more than twenty years, the two scientists race each other to master the mysteries of life . . . and unlife. From the grisly battlefields of the Great War to the haunted coasts of Dunwich and Innsmouth, from the halls of fabled Miskatonic University to the sinking of the Titanic, their unholy quests leave their mark upon the world — and create monsters of them both. Revival, by Stephen King. In a small New England town, over half a century ago, a shadow falls over a small boy playing with his toy soldiers. Jamie Morton looks up to see a striking man, the new minister. Charles Jacobs, along with his beautiful wife, will transform the local church. The men and boys are all a bit in love with Mrs. Jacobs; the women and girls feel the same about Reverend Jacobs—including Jamie’s mother and beloved sister, Claire. With Jamie, the Reverend shares a deeper bond based on a secret obsession. When tragedy strikes the Jacobs family, this charismatic preacher curses God, mocks all religious belief, and is banished from the shocked town. Jamie has demons of his own. Wed to his guitar from the age of thirteen, he plays in bands across the country, living the nomadic lifestyle of bar-band rock and roll while fleeing from his family’s horrific loss. In his mid-thirties—addicted to heroin, stranded, desperate—Jamie meets Charles Jacobs again, with profound consequences for both men. Their bond becomes a pact beyond even the Devil’s devising, and Jamie discovers that revival has many meanings. Strange Eons, by Robert Bloch – Robert Bloch’s homage to his old mentor and correspondent, H.P. Lovecraft. Taking names and incidents mentioned in Lovecraft’s tales, Bloch (best known for the novel Psycho) weaves a story surrounding three individuals who run afoul of the otherworldly monsters of the so-called Cthulhu Mythos. The title is taken from a famous Lovecraftian couplet: “That is not dead which can eternal lie/ and with strange eons, even death may die.” The story begins when Albert Keith, an eccentric art collector, purchases the literally ghoulish painting described in Lovecraft’s story, “Pickman’s Model.” From that point, he (and others) begin to deduce that Lovecraft’s stories were not fiction, but thinly-disguised prophecies and warnings to the human race. As they investigate, the novel gives us a kind of Cliffs Notes overview of Lovecraft’s major themes. Bloch’s novel is fast-paced, which is unusual for this kind of supernatural fiction. Typically, atmosphere and evocative description dominate, neither of which necessarily lend themselves to quick reading. 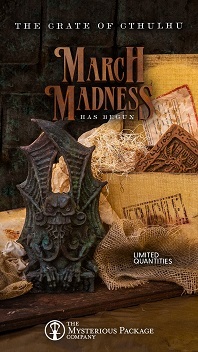 This marks the book’s biggest departure from Lovecraft’s style and tone, but what he loses in ‘period authenticity’, Bloch makes up for in plot twists, with each new revelation uncovering another Lovecraftian icon–the Shining Trapezohedron, or the people from Innsmouth. Added to that is Bloch’s gift for naturalistic dialogue (a gift Lovecraft himself lacked) and characterization. That Which Should Not Be, by Brett J. Talley – Winner of the 2011 JournalStone horror writing contest. 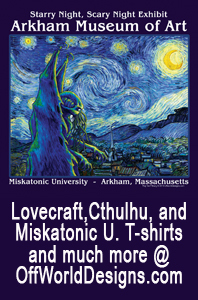 Miskatonic University has a long-whispered reputation of being strongly connected to all things occult and supernatural. From the faculty to the students, the fascination with other-worldly legends and objects runs rampant. So, when Carter Weston’s professor Dr. Thayerson asks him to search a nearby village for a book that is believed to control the inhuman forces that rule the Earth, Incendium Maleficarum, The Inferno of the Witch, the student doesn’t hesitate to begin the quest. Weston’s journey takes an unexpected turn, however, when he ventures into a tavern in the small town of Anchorhead. Rather than passing the evening as a solitary patron, Weston joins four men who regale him with stories of their personal experiences with forces both preternatural and damned. Two stories hit close to home as they tie the tellers directly to Weston’s current mission. His unanticipated role as passive listener proves fortuitous, and Weston fulfills his goal. 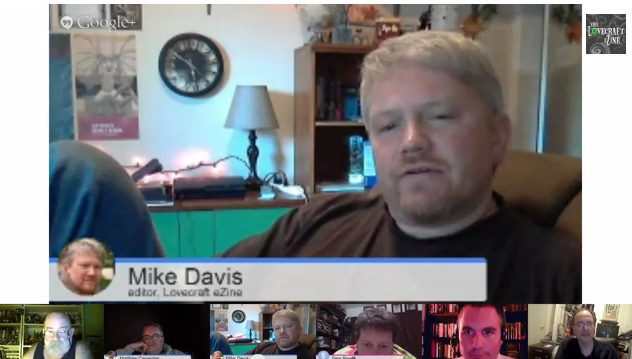 Bringing the book back to Miskatonic, though, proves to be a grave mistake. Quickly, Weston realizes he has played a role in potentially opening the gate between the netherworld and the world of Man. 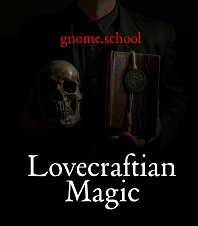 Reversing the course of events means forgetting all he thought he knew about Miskatonic and his professor and embracing an unknown beyond his wildest imagination. The Void, Brett J. Talley’s second book. 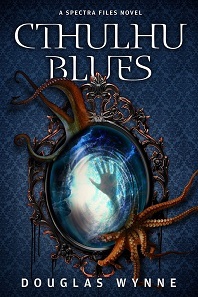 A really great Lovecraftian horror science fiction novel… terrifying. Available in hardcover, paperback, and for Kindle. In the deepest reaches of space, on a ship that no longer exists, six travelers stare into the abyss . . . and the abyss stares back. Man has finally mastered the art of space travel and in a few hours passengers can travel light years across the galaxy. But, there’s a catch—the traveler must be asleep for the journey, and with sleep come the dreams. Only the sleeper can know what his dream entails, for each is tailored to his own mind, built from his fears, his secrets, his past . . . and sometimes his future. That the dreams occasionally drive men mad is but the price of technological advance. But when a transport on a routine mission comes upon an abandoned ship, missing for more than a decade, six travelers—each with something to hide—discover that perhaps the dreams are more than just figments of their imagination. Indeed, they may be a window to a reality beyond their own where shadow has substance and the darkness is a thing unto itself, truly worthy of fear. The Weird Company: The Secret History of H. P. Lovecrafts Twentieth Century, by Pete Rawlik. (Sequel to Reanimators.) The story of Dr. Hartwell (“Reanimators”) continues, but now he has company. Weird company: a witch, a changeling, a mad scientist, and a poet trapped in the form of a beast. These are not heroes but monsters . . . monsters to fight monsters. Their adventures rage across the globe, from the mountains and long-forgotten caves of Antarctica to the dimly lit backstreets of Innsmouth that still hold terrifying secrets. The unholy creatures released upon the world via the ill-fated Lake expedition to Antarctica must be stopped. And only the weird company stands in their way. Continuing in the fashion of “Reanimators”, “The Weird Company” finds Lovecraft expert Pete Rawlik taking some of the most well-known of H. P. Lovecraft’s creations and creating a true Frankenstein monster of a story—a tale more horrific than anything Lovecraft could have imagined . . . The Whisperer in Dissonance, by Ian Welke. Annie sleeps in fitful spurts dreaming of an altered world populated by drone-like slaves and gangly masters. Her dreams leave her panicked and ragged as if she hadn’t slept at all. Is there a barely audible voice buzzing in the background hum? Or is the sleep deprivation driving her to delusions? When a computer virus spreads across email, social networking, and phone texts, people begin exhibiting the drone-like behavior from her dream. Who can she trust? Can she learn to distinguish what is real from the background noise, or will she become just another drone?